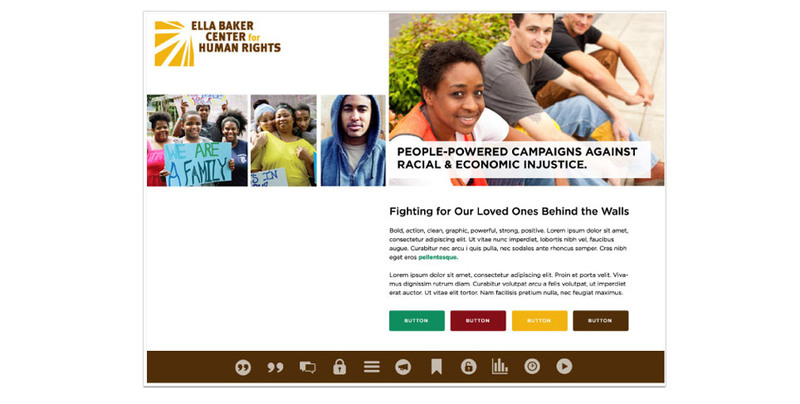 Having prevously worked with Ella Baker Center's Executive Director, Zachary Franklin during his time with Justice For Families, we were excited to help Zach and his team redesign their website and create a more engaging experience for their visitors. We began our design process by building a series of moodboards in order to establish a refreshed visual language (imagery, color palette, and typography) and then worked on information architecture and site map. 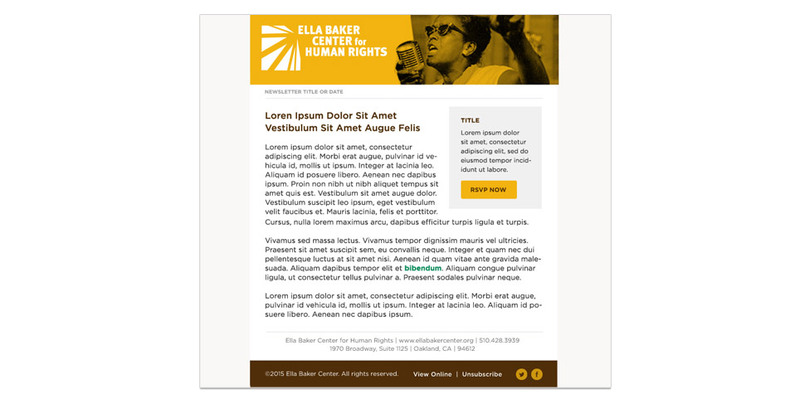 Next, we created wireframes for the necessary templates and then applied the visual language to a new, responsive design. 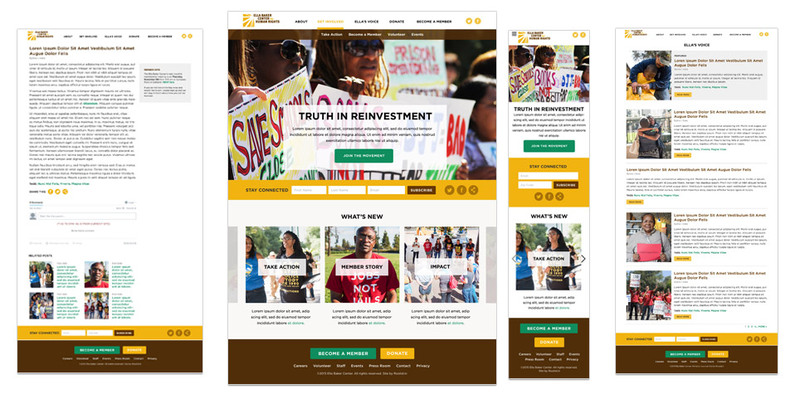 Once the site was moved into beta review, we began working on 2 infographics focused on their victories as well as their process of truth and reinvestment. 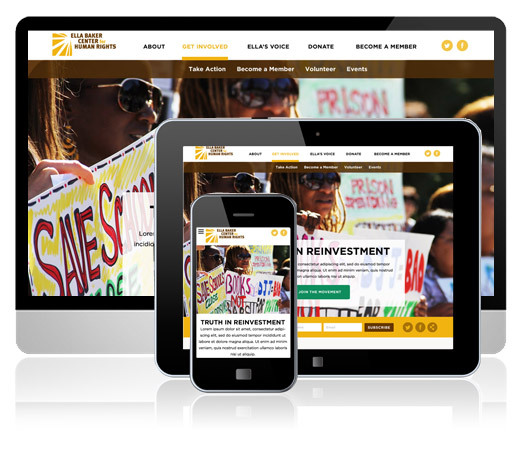 They needed more clear ways to explain the important accomplishments their work has achieved as well as their vision for the future and we are so happy to have helped them achieve their goals. 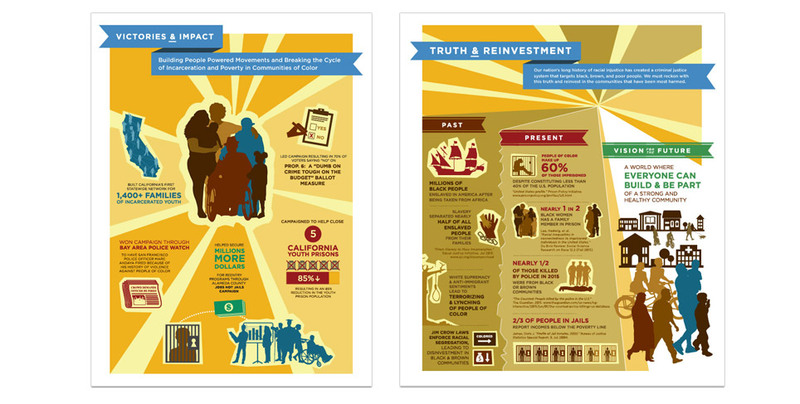 The Truth and Reinvestment Infographic recieved a 2016 Communicator Award. Rootid helped us think through creative ways to improve the ways that people can engage with our website. The process was collaborative and rewarding!